SJS can customise and produce products for special projects to suit all customers specification and requirements. SJS Pro-Products can manufacture customised products to meet the specific needs of our customers. 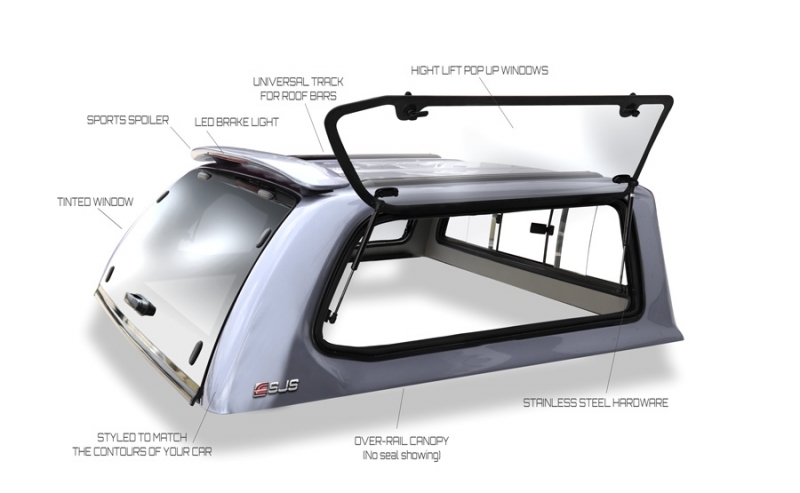 SJS Pro-Products prides itself in exceeding our customers’ satisfaction ensuring they are getting the most innovative hardtop canopy available in any market. SJS Pro-Products also manufactures products in composite materials, stainless steel, aluminium and plastic. Our hardtop canopies feature solid or sliding glass glass windows and side opening windows to enhance ventilation. All canopies include an interior light fitting, a rear spoiler with LED stop light, aerodynamic roof rails, rear slam-action door and the the interior is fully lined in leatherette material.